178 was the last of the Bluebell's three P-class tanks to steam in preservation, returning to steam at the end of February 2010. This article records the history and initial restoration work (based, with permission, on the Southern Locomotives website archive). Later updates on the overhaul of this locomotive are available on the web page for the Loco Workshop Working Group. These locomotives were introduced in 1909 by the South Eastern and Chatham Railway to a design by Harry Wainwright. They were primarily intended for working light branch passenger services, principally between Nunhead Junction and Greenwich Park, Otford and Sevenoaks, and Reading and Ash. It was found that the engines were too small for such work and they were distributed over the system to work on light shunting duties and as shed pilots. Only eight locomotives of this class were built and considering their apparent failure it is amazing that they all survived into BR service and that four of them still survive today. Driving Wheel: 3 ft. 9 in. Weight: 28 tons 10 cwt. Cylinders (2): 12 in. x 18 in. Boiler Pressure: 160 lb. / sq. in. Other Numbers carried: SR: 1178, BR: s1178, 31178, Bowaters: "Pioneer II"
No. 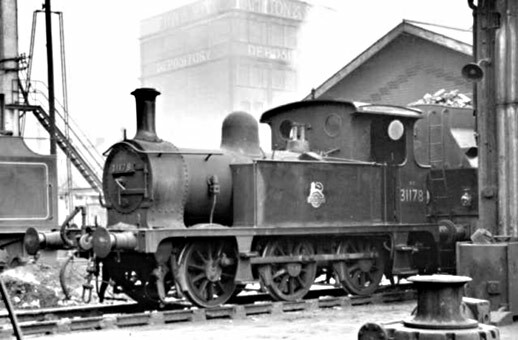 178 was built at Ashford works in 1910 to a design by H. Wainwright. Its first allocation was to Ash, a sub-shed of Reading. In those days, Reading had both GWR and SECR stations and sheds. Its main duties were working the push-pull service between Ash and Aldershot. The success of these services required heavier trains and the P class tanks were replaced by more powerful locomotives so No. 178 was transferred to the South London area to work the Beckenham Junction to Norwood Junction service. In the period immediately before the outbreak of World War I, she was based at Longhedge (Battersea) and regularly worked on Victoria/St.Pauls shuttles and to Greenwich Park from Nunhead and Victoria. Soon after the outbreak of war, No 178 was allocated to Margate where she worked local passenger trains before being sent to Hastings for a year. In 1916, No 178 was stood down from local services and was sent to Redhill for carriage shunting duties for a few months and then on to Kidbrooke in South London where she worked in the aeronautical stores situated next to the Charing Cross to Bexleyheath Line. January 1917 saw her allocated to Bricklayers Arms shed in South London for the following two years and then in 1919 she had a spell at Orpington working the Swanley to Otford shuttles. 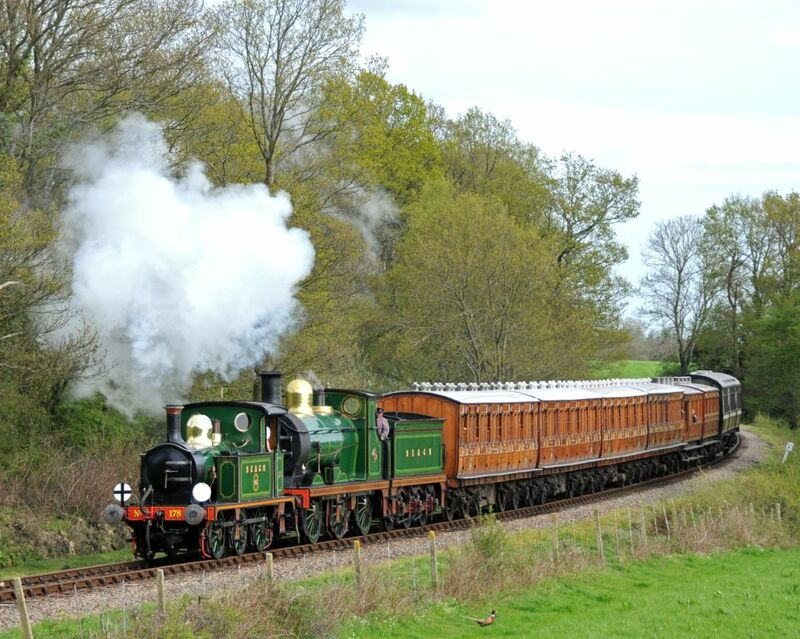 A further transfer to Tonbridge followed and No 178 spent several years operating over the Westerham branch, a duty that she shared with sister engine No 323, which is also preserved on the Bluebell Railway. At the grouping of the railways in 1923, she was taken into the ownership of the Southern Railway and eventually renumbered 1178. In 1926 all the P Class locomotives were withdrawn from passenger duties and No 1178 was transferred to Folkestone and then to Dover and operated in that area for many years mainly on light shunting duties around the docks. 1943 saw another transfer, this time to Brighton on former LBSCR territory. The nationalisation of the railways in 1948 saw further renumbering, initially to s1178 in March 1948, and finally to 31178 in 1951. During 1953, No 31178 participated in trials with a B4 class 0-4-0T along the sea front at Dover, hauling goods to the Eastern Docks. This traffic had increased over the years and was proving difficult for the Ps allocated to the task. One of the regular duties was to take wagon loads of scrapped locomotive parts from Ashford to a scrap metal merchant adjacent to the docks. The B4 managed 28 wagons to the P's 20, so 31178 was reduced to a standby status for this activity. She continued to shunt the town yard, the ferry dock and the harbour board lines for several years, with a spell on loan to the Ridham Dock exchange siding of Bowaters Paper Mills in 1953, and Chislet Colliery in the Kent coalfields in 1955. A transfer back to Bricklayers Arms also in 1955 ended when she was replaced by a diesel shunter and she returned on loan to Bowaters in 1956. Following mechanical problems she was sent to Ashford for repairs. Her final allocation was to Stewarts Lane, Battersea, where she was used to shunt the milk depot, a duty which she retained until replaced by a diesel in 1958. No 31178 was then withdrawn as surplus to requirements and sold to Bowaters, returning to familiar territory at Ridham Dock. 31178 at Bowater's Paper Mill, Sittingbourne in May 1960 Photo © Southern Locomotives She was repainted in SECR livery and named Pioneer II (apparently spoken as "Pioneer the second"). In 1969, she suffered major cylinder damage and was withdrawn. 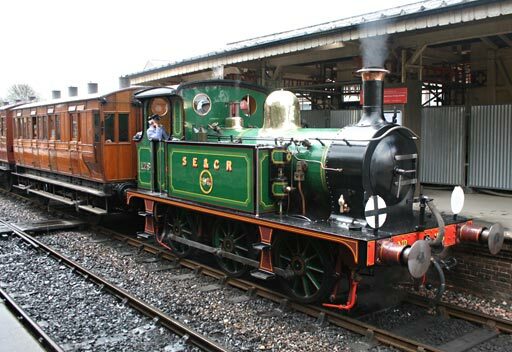 She was purchased by the Bluebell Railway in the same year and moved to Sheffield Park to await restoration. The Bluebell Archive photo (below) shows Pioneer II (178) and Baxter at Sheffield Park, again in the early '70s, in a condition that might lead one to consider that they had a bleak future. However both are now both working following recent restoration/overhaul. 178 was stored at Sheffield Park from 1969, having probably been purchased as a source of spares for the Bluebell's other two P-class locomotives. She had been given a coats of paint (as Southern 1178 and later as British Rail 31178) and left in the 'Wood Yard' siding along with a number of other locomotives awaiting restoration. An approach was made to the Railway in 1989 by a group of Port Line shareholders that they be allowed to purchase the locomotive for eventual restoration and use on the railway. This photo by Barry Lewis, taken in the late 1970s, shows No.178 cosmetically restored to Southern Railway livery as No.1178, alongside the National Railway Museum's Bulleid Q1. Photo reproduced under the terms of the Creative Commons Attribution 2.0 Generic license. 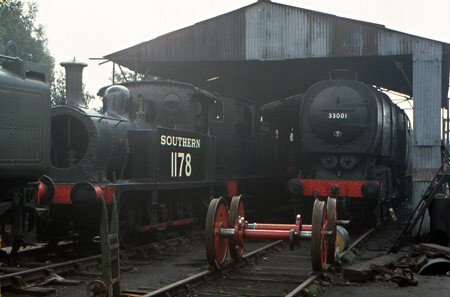 The Southern Locomotives team were busy finishing 257 Squadron until September 1990 and subsequently were occupied during 1991 assisting with boiler repairs to Port Line so it was not until June 1992 that 31178 was brought out of the Wood Yard and allocated a few yards of track outside the loco works. The team commenced the dismantling of the locomotive into seemingly hundreds of components until they were left with a rolling chassis. One problem that had to be dealt with was the boiler which was still lagged with asbestos which required removing safely by specialists. It had been intended to send the boiler away for this to be done but one firm offered to do the work on site if a sealed enclosure around the boiler was provided. A large amount of timber was delivered to the site and a large shed-like framework was erected around the boiler. This was then double-lined with polythene sheeting to provide the sealed environment. After the asbestos had been removed and the boiler needle-gunned to remove the rust, subsequent measurements on the boiler showed that the metal was unacceptably thin in some places and that the boiler would need major repairs or that a new boiler would be required. 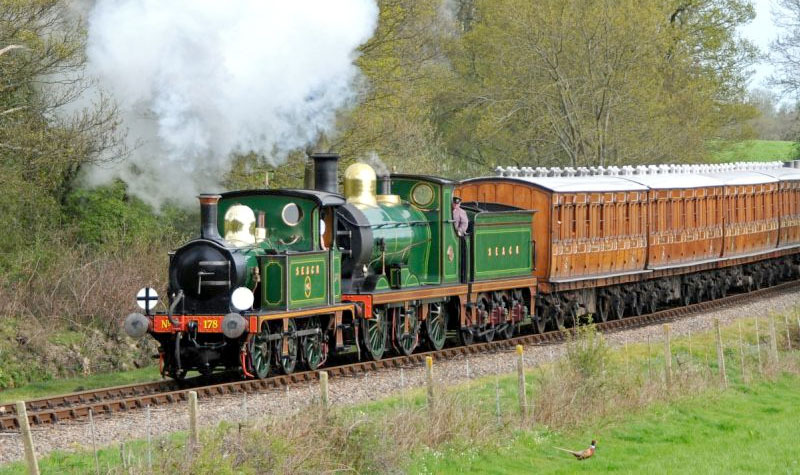 Fortunately, the Bluebell Railway had purchased a large amount of P class spares when they bought the locomotives in 1969 and these spares included a boiler. An agreement was reached that would allow 178 to use the spare boiler in return for Southern Locomotives assisting in the restoration of the third P class, No 27. The frames were moved to a convenient place in the yard, put onto stands and levelled, ready to be cleaned and repainted. The shed-framework was found to be large enough to be placed around the frames and was dismantled, re-erected and new polythene sheeting fitted. The structure became known as Hector's House as some wag had found a suitable plaque and nailed it to the structure. The structure at least provided a reasonably dry environment in which to work on the frames and remained in place for some time although the polythene was since replaced with a tarpaulin roof. The other major problem, which was the original reason for 178's withdrawal, was the hole in the top of one of the cylinders. This necessitated the removal of the cylinder block casting, and grinding the hole back to thick metal. 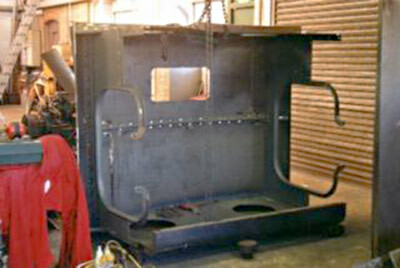 Southern locomotives' engineer, Mike Carroll, then spent many hours designing, manufacturing and fitting a plug to fill the hole and then machining the bore. We believe that this was the first such repair in Railway preservation. The repaired cylinder block was put back on the frames in the summer of 1995 and represented the first milestone in the restoration. 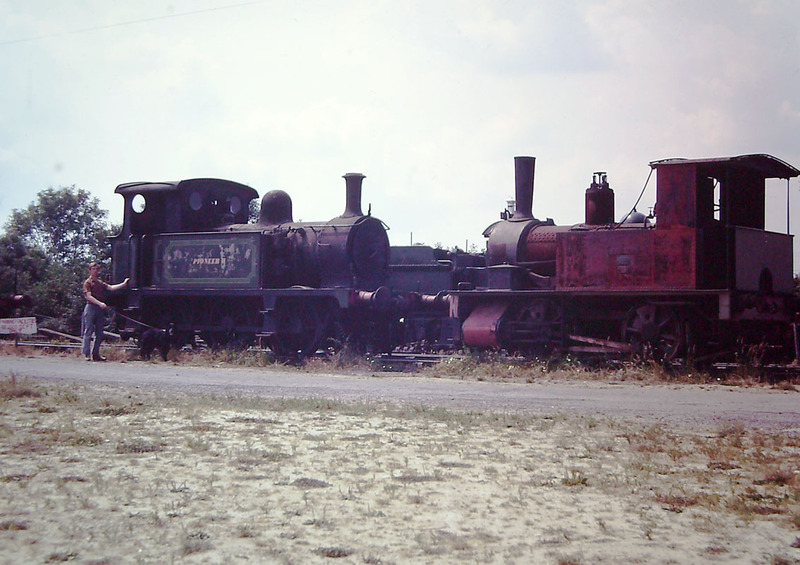 One thing that became apparent during the restoration work was that the locomotive had been run into the ground by its previous owners which meant that virtually every major component on the locomotive was totally worn out, necessitating considerable work or the manufacture of new parts. One problem area was the axle-boxes and horn-guides which were all badly worn and provided many headaches delaying the long awaited re-wheeling by many months. During the spring and summer of 1996 the rusted plate-work of the running plate was replaced with new sheet and finally preparations were able to get underway for our second milestone, the re-wheeling of the locomotive. A small length of track was laid under the frames and with the assistance of a contingent from Sellindge, the Eddystone group, the frames were jacked up, the axle-boxes and springs assembled and the wheels rolled under the frames. Finally the frames were lowered onto the wheels to complete the second milestone. 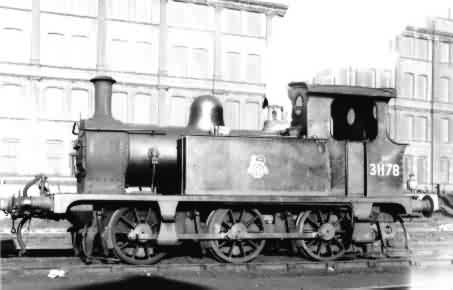 The Bluebell having four P-class boilers, and with one in use on No.323, the second-best boiler was provided by the Railway for use on 178. This is the one which was carried by No.323 when it arrived on the Bluebell in 1960. 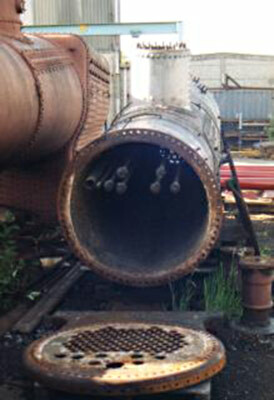 The smoke-box was removed from the boiler and the inside of the boiler cleaned out with a pressure washer. The boiler was given a preliminary inspection by the boiler inspector who outlined the work that was required. This included a new front tube plate, new foundation ring rivets and the replacement of the bottom part of the outer firebox wrapper plate. Also all studs would need to be removed and replaced. The front tube plate was removed during 1998. This required the removal of some 70 rivets. The old tube plate should be used as a pattern for drilling the new one. Most of 1999 was spent working on the cab. The original roof was in a poor condition so it was decided to replace it. Before removing the old roof two struts were welded diagonally across the cab sides to ensure that the structure remained square. The small team spent an exhausting day rolling the four metal sheets that would form the new roof to the correct curved profile. The remainder of the cab was despatched to Sellindge where it was grit-blasted, to remove the old paintwork and rust, and subsequently given a coat of primer. During the autumn of 1999 the new roof was fitted back on the cab, followed by the various fittings such as rain strips. The bottom of the cab facing the coal bunker was also in a poor condition. It had been the subject of at least two repairs in the past. Each repair had consisted of welding a new sheet of steel over the existing rusty piece so the result was a sandwich of three very rusty sheets of steel. The solution was to remove these rusty sheets and to weld a new piece of steel in its place. Further reports on the work by the Southern Locomotives team were filed in April 2001, September 2001 and March 2002. 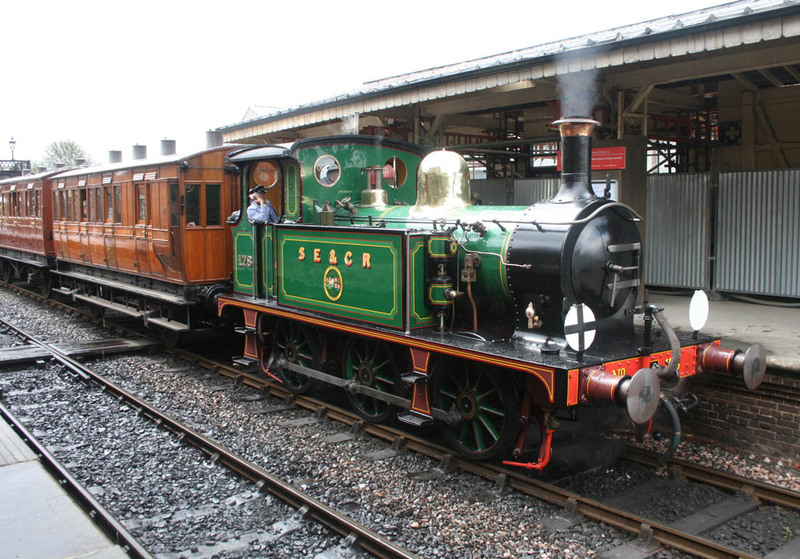 With the shift in emphasis of Southern Locomotives to become major providers of motive power to the Swanage Railway, it was decided it was more appropriate to transfer ownership of this 'P' class loco back to the Bluebell. This was achieved in mid 2006, thanks to funding made available by the Bluebell Railway Trust. 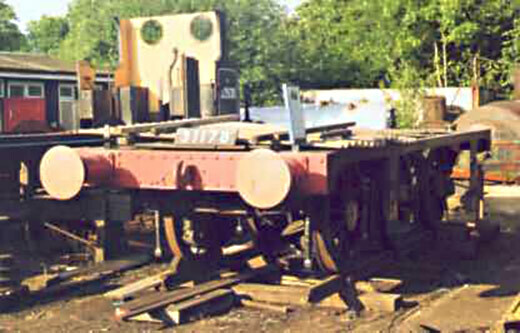 At the end of 2007, work resumed on 178, with labour being provided by the Loco Workshop Working Group. Details of the work undertaken has been recorded on that page. The loco returned to service at the end of February 2010. Page created 12 February 2008 by Duncan Bourne and last updated by Richard Salmon 24 January 2014.